The Ladbrokes HTML5-based mobile casino offers HD quality games specifically designed for high end smart-devices, and works particularly well on iPad, iPhone, and Android. And now if you join the Ladbrokes Casino, you can receive a 100% deposit match bonus worth up to £500! Receive your bonus chips immediately and wager them on the Ladbrokes Mobile Casino! Click here to open your new Ladbrokes account! While the Ladbrokes Casino does offer a downloadable app in iTunes, we recommend playing at the mobile-friendly website instead. The Ladbrokes Casino App is very limited when compared to the mobile casino site. The app offers less games, has bugs with logging in and staying logged in, and also has issues disconnecting you while playing. None of these issues are present with the Ladbrokes mobile casino website. Simply visit the Ladbrokes Casino with your mobile device. Ladbrokes will detect the type of device you are using and present a compatible and user-friendly interface! 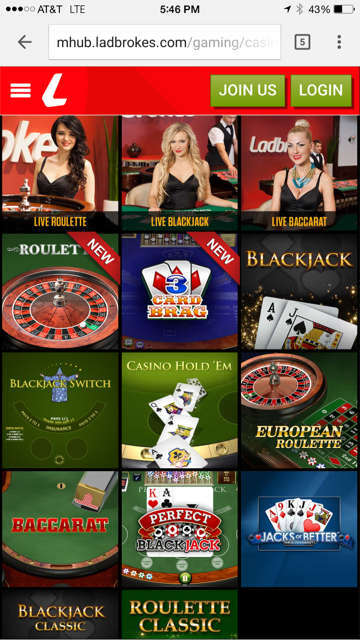 The Ladbrokes mobile casino supports a wide range of platforms. The new Ladbrokes HD mobile casino is a web app that is specially designed for iOS devices, such as the iPad and iPhone. Android 4.0 and above is also fully compatible with the new Ladbrokes Mobile Casino. 1. Click here and register your new account. 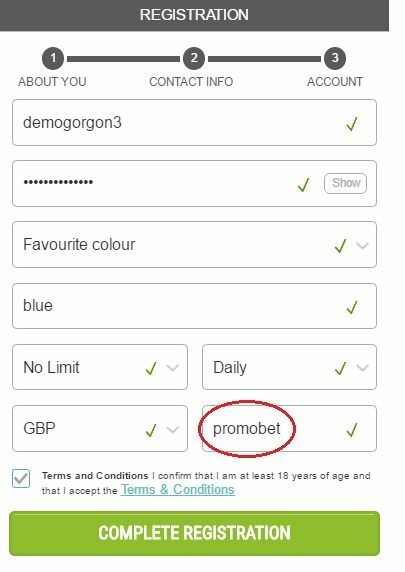 Redeeming the exclusive promo code PROMOBET will qualify your mobile account for all the Ladbrokes promotions, including the 100% deposit bonus of up to £500. 3. 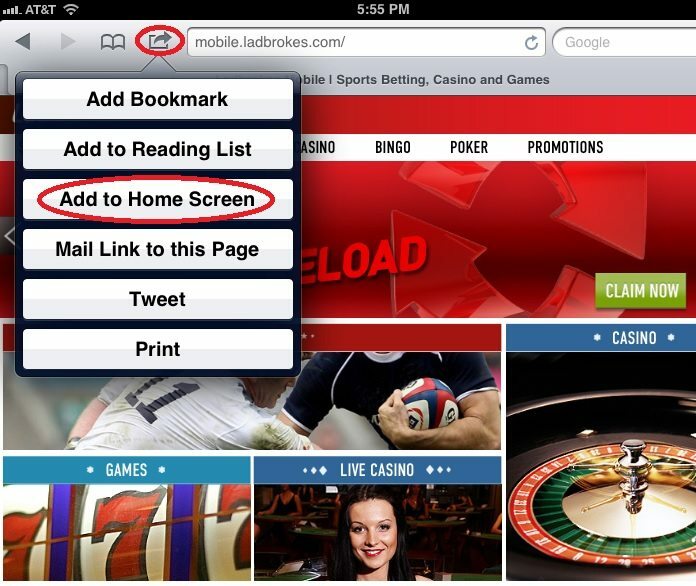 Launch the browser on your mobile device and type in “ladbrokes.com” in the address bar, and press “Go”. The URL may change or redirect and that’s fine. This screenshot was taken from my iPad but the process is similar on an iPhone or Android device. You will now have the Ladbrokes icon set up on the home of your mobile device for quick access! The Ladbrokes system will automatically detect your mobile device and if your device can process the HD mobile casino, it will automatically serve that version up, otherwise it will revert to the older version of the mobile casino. All account settings are persisted server-side, so if you connect via a different device, even an Android or BlackBerry, you’re account configuration will be there. Older devices incapable of processing the new HTML5 casino, such as Android devices below 4.0, will automatically divert to an older version of the Ladbrokes mobile casino. You can read our review of the Ladbrokes mobile casino for older devices here. 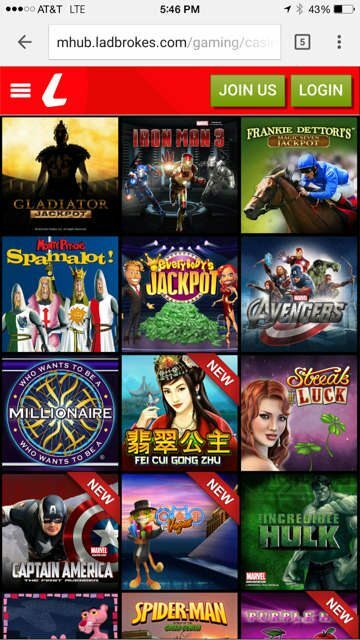 The Ladbrokes Mobile Casino offers a massive library of games, including 70+ slot games, 22 jackpot slots, and 14 table games including live dealer roulette, blackjack, and baccarat – all available on your mobile! Click here to set up your mobile account and play the games above! Click here to start playing at Ladbrokes. Ladbrokes is always changing its bonus offers, but at the time of this writing, they were offering a specific bonus for trying out the mobile casino. 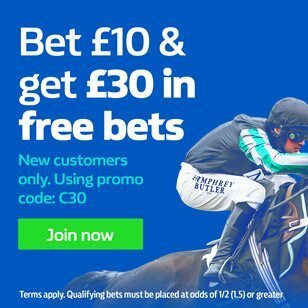 All new clients can receive £5 no-deposit bonus. To claim it, simply access the Ladbrokes Mobile casino and register a new account. Ladbrokes will automatically deposit £5 into your account, and then you can wager that money in any way you choose. 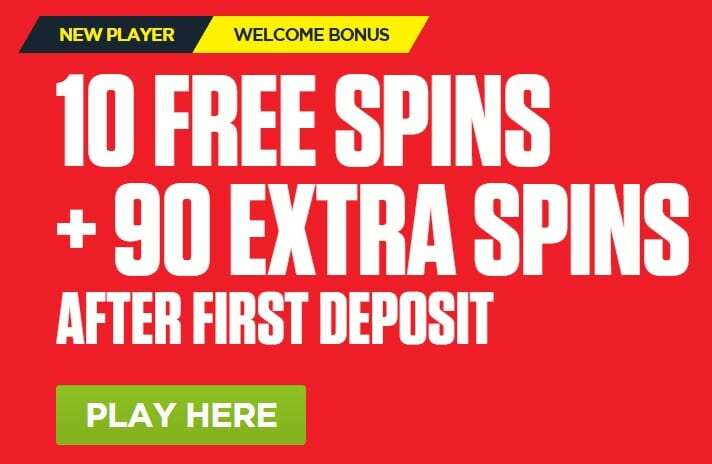 Ladbrokes Casino also offers a welcome bonus that will take effect when you make your first deposit. A deposit must be at least £10 to earn a bonus. The Ladbrokes Casino will match you deposit by 100 percent up to a £500 bonus. To take full advantage of the offer, you would deposit £500 and start with £1,000 in your Ladbrokes account. The £500 bonus is CASHABLE! So you can withdraw that bonus money AFTER you’ve met the wagering requirements, which is a 30x rollover on the amount of the bonus. So you would need to wager a total of £15,000 before you are clear and can cash out any bonus funds. If you reside outside of the UK, the wagering requirements may be different, please visit the Ladbrokes website for details or contact their customer support. The £500 welcome bonus may be earned and collected by playing on the desktop version of the Ladbrokes Casino and/or via the Ladbrokes Mobile Casino. Ladbrokes offers a wide range of other promotions. These include 40 free spins on your second deposit, daily bonus drops, Tuesday mystery bonuses, the Wednesday cash dash and much more. Ladbrokes also offers a VIP Club that provides rewards, special promotion and invitation-only events. Click here to play at the Ladbrokes Mobile Casino! 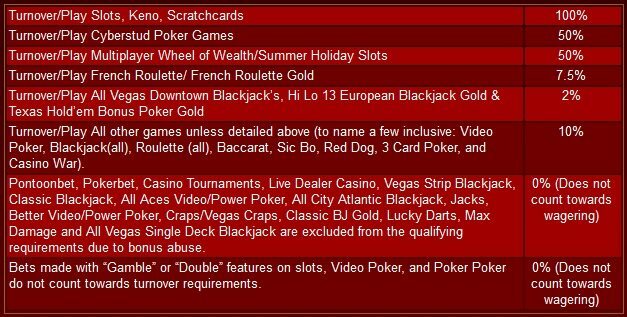 If you are interested in getting the complete Ladbrokes Casino software for your desktop computer, you can get the Ladbrokes Casino download here. We also recommend Ladbrokes Sports and the free bet that’s being given away to all new customers. Simply register and place your first bet of £25 and then receive a free bet token worth £25! Learn more about the free bet at http://freebetpromocode.co.uk/promo/ladbrokes-free-bet/. Of course, all your Ladbrokes sports bets can be made from your mobile device. Have you tried this app? Let us know what you think!